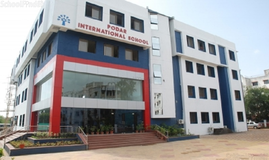 Find below the list of top IB schools in Pimple Saudagar - Pune with phone number, address, 360° School tours, 2018-19 Admission forms & Fees, photos, facilities & more. 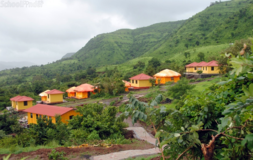 Sharda English Primary School Kalewadi is located in Pcmc, Pune. It was established in 2005. This school follows the State board. The school has English medium. 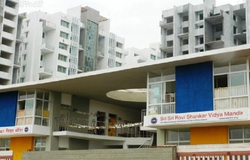 Lordd's School New Sangavi is located in Pimple Saudagar, Pune. It was established in 2000. This school follows the State board. The school has English medium. 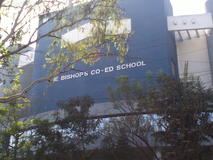 Mar Ivanios Convent High School Pimple Gurav is located in Pimple Saudagar, Pune. It was established in 1991. This school follows the State board. The school has English medium. In the changing scenario of education, there is no field left untouched by competition. 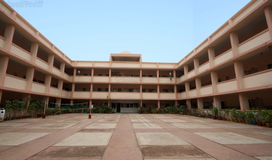 Your dream School is being setup with excellent infrastructure and educational facilities which will make our school an unique choice for parents seeking quality education with excellent educational opportunity for their children through excellent academic performance, research oriented sprit & leadership quality to face global challenges in every sphere of life. Quality in education leads to quality in life and that is what we at Nandgude Patil Foundation are striving for. The aim of the school is to prepare the students academically, physically, spiritually and morally to develop character and dedication to purpose by inducing a patriotic outlook and desire to serve the country with efficiency. he aim of the school is to prepare the students academically, physically, spiritually and morally to develop character and dedication to purpose by inducing a patriotic outlook and desire to serve the country with efficiency. 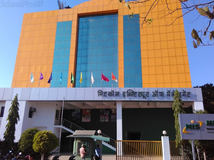 SNBP is a progressive and an innovative school, Govt. recognised, Co-educational, Unaided Institution which offers a child-centric, activity-oriented curriculum. SNBP Morwadi and Rahatani provide education from pre-primary classes to standard 'V' for CBSE and pre-primary to class V and for std. VIII and std IX in Rahatani Branch following Maharashtra State Board curriculum. The school follows syllabus prescribed by the Maharashtra State Board of Education & CBSE (Central board Of Secondary Education.). Besides routine academic activities, numerous co-curricular activities are carefully planned to draw out the best of the potentials and talents of the pupils, activities such as dramatics, music, education contents, quiz, mental mathematics. sit and draw, debates, wall magazines are regularly organised, the School offers ample opportunities to the pupil to engage themselves in a wide variety, which serve to CHANNELISE STUDENT's EMOTIONAL AND PHYSICAL ENERGY. Astate of the art C.B.S.E. English school namely swami Vivekanand National school is established and running successfully since 16 years at M.I.D.C area Latur. 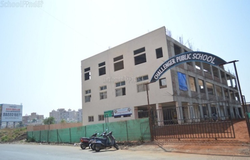 It is residential, co-educational school spread on a wide area of seven acres at the heart of the city of Latur.The school although give modern education,also impacts rich Indian traditions and values, Indian heritage through scientific and Physical education. The unique Latur pattern of education is the Symbol of quality is now available at your doorsteps. 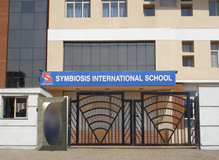 Although there are many top IB schools in Pimple Saudagar - Pune it is not necessary that each one is suited to your child's needs. That is why you need to analyze and consider every factor about the best IB schools in Pimple Saudagar - Pune before settling for one. 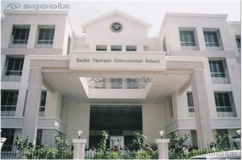 Sqoolz's list of best IB schools in Pimple Saudagar - Pune makes this job easier for you. Find every detail that is necessary before choosing the right school. You can also take our virtual tour, a feature solely designed to give parents a sense of assurance.